Custom Timber Frame Homes | Clydesdale Frames Co.
Clydesdale frames Co. is a timber frame only company with in-house design services that builds custom traditional post and beam timber frame homes and light commercial timber frame buildings. 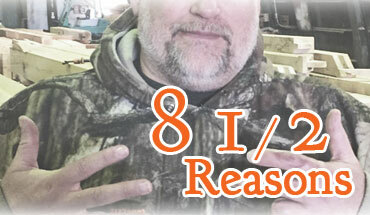 We have all the benefits of being a small timber frame company located in the midwest. We promise that your calls and ideas will not be lost in the shuffle or bounced around from salesman to project manager and back again. As one of the only privately owned timber frame builders in the state of Kansas, when you talk to us you talk to the “national headquarters”. Are you considering a timber frame for your next home? 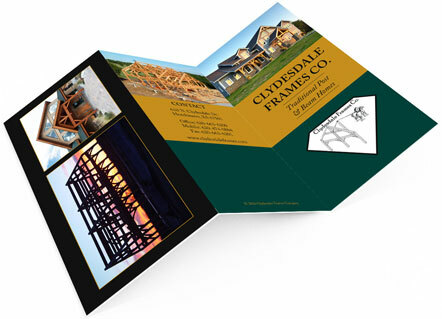 Clydesdale Frames Company has been building timberframe homes and light commercial buildings since 1999. Our specialty is the frame. We are not a ‘general contractor’. Our frames sit on foundations from Virginia to Montana and many points in between. Centrally located in Hutchinson, Kansas, we have access to the majority of the country without too many logistical hurdles. Are you a builder, designer or architect? Although our projects have been featured in magazine, newspaper, online articles and on TV - we understand that our reputation is only as good as the ‘next’ frame. Each frame design has its own inherent challenges and artistic expression. This keeps us on our toes and engaged in the current project. Discover how Clydesdale Frames can bring high-performing timber frame structures to commercial and communal spaces like event venues, wedding venues, churches, and more. Conveniently located in central Kansas, our timber frames have found their way across the midwest and into western states. "So much to say I’m not sure where to start. Our experience with Clydesdale Frames Co. was above and beyond expectations. From the initial contact through questions after the raising John, Chris, and crew were always there for us. To say we couldn’t be happier with our home is an understatement…"
"When we started looking for a company to build a timber frame for our new home, we really had a lot to learn. We did the research and started to look at our options. We soon had a list of five companies to send our plans to to get a quote. All five responded with good offers. 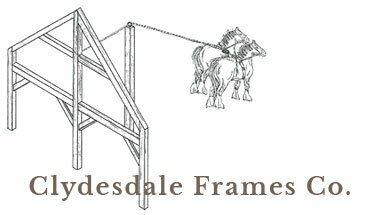 However Clydesdale…"
"We absolutely love our timber frame from Clydesdale frames. The frame has been up almost 5 years with no issues except what I expected, wood in our climate will pop and crack a little until completely dry, this just added to the frame’s unique features. Having worked in the hardwood lumber field…"
"What do you say about people who help make your dreams come true? 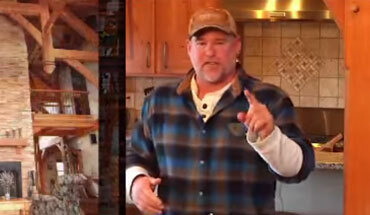 For many years, we had planned on building a log home. After visiting several log homes in KS and MO and talking with their owners, we decided a log home was going to be way more outside maintenance than we were wanting to do. At that…"
Who is Clydesdale Frames Co.? Videos, News Articles & More.